So you went from tofu to human to rabbit. What kind of response did you get? Basically, no-one was completely satisfied with it. And “well, I guess it’s fun” is really not very nice. It’s not wrong, but it’s also not a real answer. And then Nogami-san started shopping it around in the company. It was about three months after the project had really started. This title didn’t have any backup at first, so we went to do promotion to the people in the company who would bring our game to our customers. When we’ve got a new title from a popular series like Super Mario Bros. or The Legend of Zelda, people in the company are really co-operative. But since this title was a completely new game, you had to shop it around, which is fairly unusual. That’s true. Without anything backing it up, we needed to let everyone know about it early on. 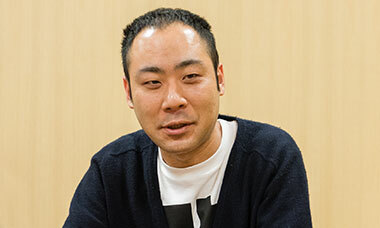 But Nogami-san, you didn’t have any backing when you made Animal Crossing either, right?12. Animal Crossing: A series of communication games. The first game in the series was released in September 2004 in Europe for Nintendo GameCube, with successive titles for Nintendo DS, Wii and Nintendo 3DS. 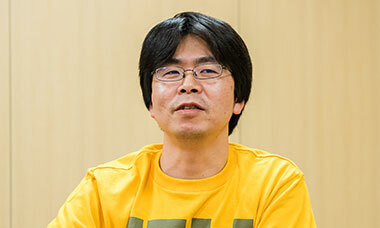 Hisashi Nogami, who produced Splatoon, worked as series director from the first Animal Crossing title up to Animal Crossing: Let’s Go to the City (Wii). Animal Crossing wasn’t a game you “beat”. So at first it was a bit difficult for people to understand it. Compared to that, Splatoon is a much easier game to understand. So when you shopped it around in-house, how was the response? But we started to think that maybe the rabbits weren’t the problem. Although we ended up going with squids instead of rabbits, the important thing we got from it wasn’t the idea that the rabbits were no good. We realised we still hadn’t found the key part of the game structure. When people asked, “Why rabbits?” and, “Why are the rabbits shooting ink?” we couldn’t give them a rational explanation. So we thought, “What’s the answer to that question?” That’s when we really started searching for it. We really couldn’t move past it. And then Sakaguchi-san put together a list of what form the character was supposed to be and what functions it needed. He wrote down all kinds of things that he needed us to do. Not just how the character looked, like the silhouette and the actual size. He also put together a concise and easy to understand list of weapons and actions. So you thought about making a character that could transform. Just like with the tofu, it would be camouflaged and become invisible. And the humanoid form would be able to do actions like shooting ink, and it looks like a person, so if we allowed players to customise what it looked like, we thought that it could become a character players would grow to love. So we took all those different features and thought of them in a different way, splitting them into what you could do as an ink creature and as a human. 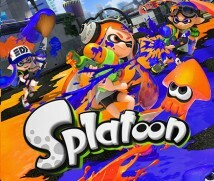 The player uses the ZL Button to become the ink creature and the ZR Button to make the human shoot ink. We made it so that there was a trade-off: if you go into the ink as the ink creature, you can move fast, but if you step on the enemy’s ink as a human, you can’t move as well. Then you get a reason to ink the walls. That’s right. We solved the wall problem then and there. Everyone just sort of… hit on it.